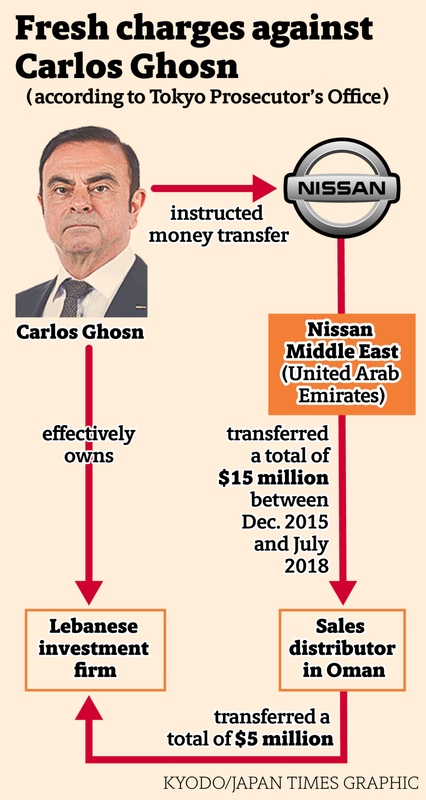 In the latest arrest, the prosecutors accused Ghosn — who had been released on bail — of misappropriating Nissan’s payments to a distributor in Oman, alleging that some of the money had been siphoned off for his own personal use. Legal experts interviewed by The Japan Times the same day said the move — to not only bring a new charge against Ghosn but to rearrest him — indicates they are likely to have obtained credible evidence showing Ghosn’s culpability. “It is part of another attempt by some individuals at Nissan to silence me by misleading the prosecutors. … I will not be broken. I am innocent of the groundless charges and accusations against me,” he wrote. The arrest came less than 24 hours after he announced, from a newly launched Twitter account, that he was “getting ready to tell the truth about what’s happening,” and would hold a news conference in Tokyo on April 11. Junichiro Hironaka, one of his attorneys, harshly denounced prosecutors Thursday afternoon, lambasting them for silencing Ghosn’s attempt to speak out at the news conference and their decision to detain him instead of simply pressing a new charge. Hironaka said that Ghosn had denied any wrongdoing, including the new accusation, stressing that the former Nissan chief was neither a flight risk nor likely to tamper with evidence. Hironaka said the defense team is planning to release a video in which Ghosn would explain his position “as much as possible.” It is not clear whether what was said in the recording is exactly the same as what Ghosn would have said at the April 11 news conference, the lawyer added. When the prosecutors raided Ghosn’s house, they confiscated his phone, diary and documents that he was preparing for the trial, Hironaka said. His wife, who is not a suspect and was present during the raid, was perturbed, and her cell phone and passport were also seized, the lawyer added. Since Ghosn had been arrested three times already, any evidence related to accusations would have already been in the hands of the prosecutors. 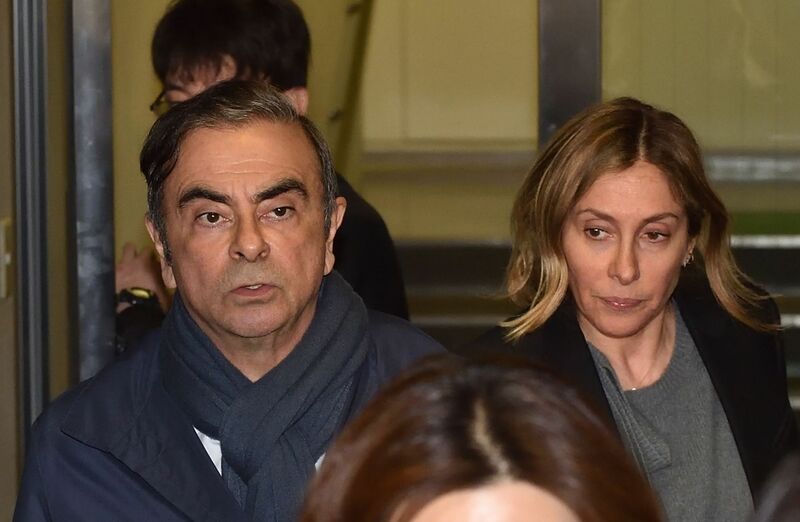 Ghosn was released on bail from the Tokyo Detention House on March 6 after paying ¥1 billion in bail and having spent 108 days in confinement. The long detention drew criticism from many legal experts in other countries. The decision by the prosecutors could rekindle global criticism toward Japan’s judicial system, dubbed by critics as “hostage justice,” in which suspects are frequently detained for long periods without an attorney present in order to coerce a confession. 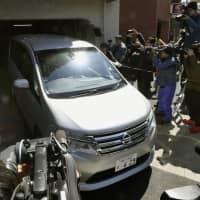 Thursday’s arrest also serves as a rude awakening for Ghosn, indicating that prosecutors would be willing to arrest him, if they have reasonable suspicion, regardless of whether he has already been released on bail. The timing of the arrest also prompted speculation. Nissan is currently scheduled to hold an extraordinary shareholders meeting next Monday to oust Ghosn and Greg Kelly, his close associate who was also arrested, from the automaker’s board. Nobuo Gohara, a lawyer and former prosecutor, suggested prosecutors in Japan might have been prompted to pursue the new charge after they learned about the new allegation surfacing in France. Reuters reported Monday that Renault SA had notified French prosecutors regarding millions of euros in payments made from the French automaker to a business associate of Ghosn in Oman that was then transferred to a Lebanese company with which he is associated. Yasuyuki Takai, an attorney and former prosecutor at the Tokyo District Public Prosecutor’s Office, said Japanese prosecutors have cooperated with authorities in Oman, and had been planning to indict him if the findings from Oman authorities’ investigation were convincing. According to Takai, the authorities had actually hoped to arrest Ghosn prior to April 1 — the day the next Imperial era name was revealed. The length of Ghosn’s detention this time is an aspect of the case that is likely to draw renewed attention. Prosecutors will be able to hold Ghosn for up to 22 days from the arrest to decide whether to indict him. If he is indicted and the court considers him a flight risk or as potentially willing to destroy evidence, prosecutors will then be able to detain him for two more months. After that, the detention can be extended further by one month each time if necessary. Despite having already posted ¥1 billion bail, Ghosn will also need to pay additional bail if he is indicted again this time and his detention continues. 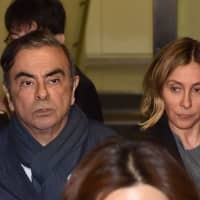 The money will be returned to him after his trial is completed if Ghosn does not violate any bail conditions, according to the Japan Bail Support Association, an organization that supports those who have difficulty securing bail payments. Ghosn was initially arrested last November and accused of having deliberately underreported his remuneration for years. He was subsequently hit with additional charges, including aggravated breach of trust, for the alleged transfer of private investment losses to Nissan in 2008. 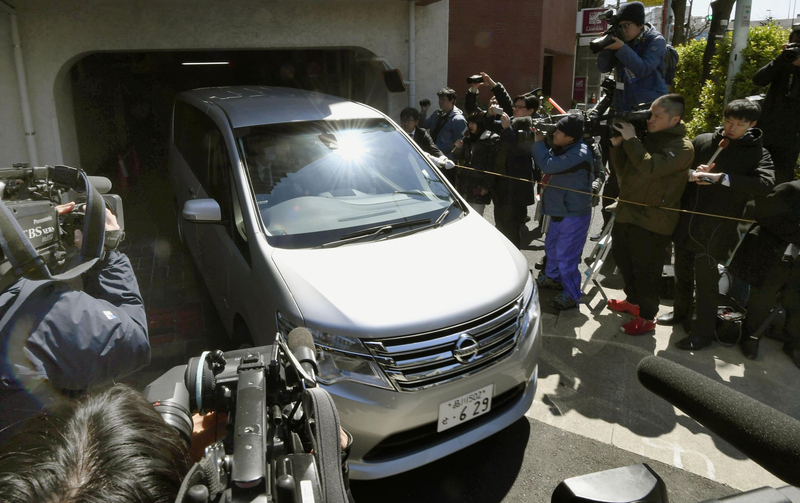 Ushijima said Ghosn would likely be released on bail again after being indicted on this accusation, since the defense team had already presented bail conditions when he was accused on those three charges and the court had granted him bail. One of Ghosn’s bail conditions was restricted use of the internet, but Hironaka said that did not mean Ghosn could not use the internet at all. The defense team believes the fourth arrest was the “last card the prosecutors can use, and there is nothing that they can do further,” Hironaka added. The past few weeks have been a bumpy ride for the 65-year-old French former auto titan. The Nissan-Renault-Mitsubishi Motors Corp. alliance has already moved on without him, and has been focusing on strengthening their partnership. Renault has announced Ghosn would resign from his position as director at the French automaker in June. “After being wrongly imprisoned for 108 days, my biggest hope and wish today is for a fair trial,” Ghosn wrote in a statement.